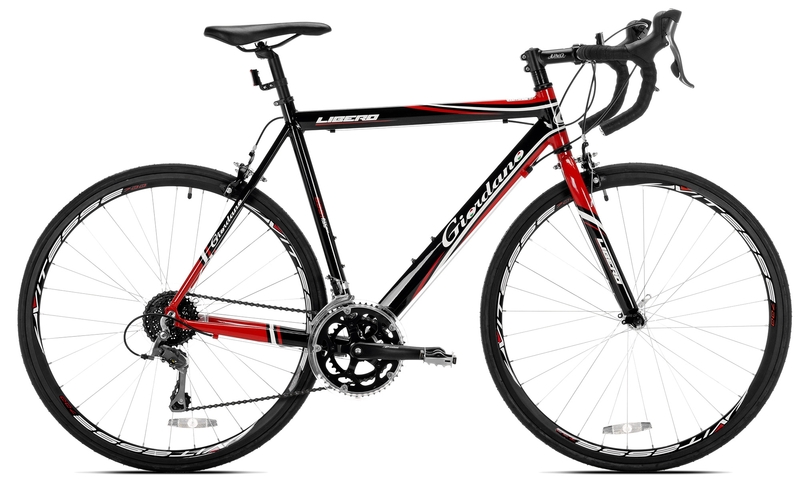 If you’re looking to step up from the entry-level bike game and get yourself something a bit more professional, the Giordano Libero 2.0 is definitely a good choice. This model is essentially an upgrade from Giordano’s 1.6 Libero model and their Acciao model, and with that said there is a considerable amount of improvements when it comes to the Libero 2.0 specs. When comparing user reviews for this model with a Giordano Libero Acciao review, we could see that people are much more satisfied with this model. First of all, let’s discuss the components. The entire drivetrain – meaning the cassette, both derailleurs, and crank are all from Shimano, the manufacturer of some of the highest quality bike parts on the market today. The shifters are Shimano as well, and they offer an impressive 18 speeds, making this a very versatile bike in almost all incline conditions – uphill, downhill or just strolling through town. According to every Giordano Libero 2.0 review we’ve come across, the Libero handle any mildly rough terrain with no apparent difficulty! 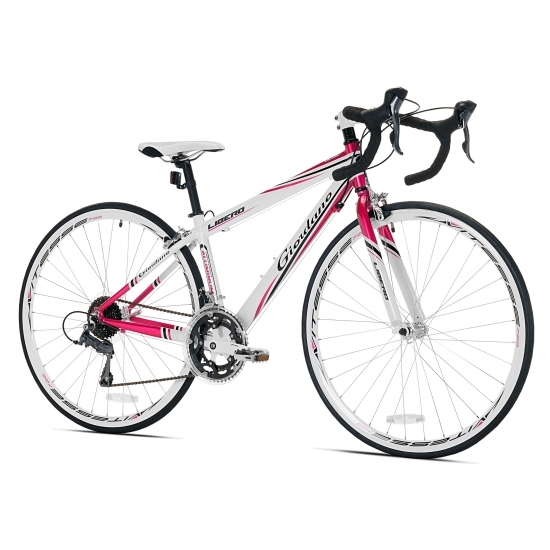 If you’re looking for a Libero women’s road bike, this model is also a good choice because of its ergonomic shape that fits both male and female riders. The frame of this model is aluminum, which is common for mid-range bikes such as the Tommaso Monza, and many others for that matter. However, this model has something that a lot of mid-range models do not – a carbon fork in the handlebars. Carbon is a material that is tougher than aluminum but more flexible, which means that it makes your handlebars more shock absorbent, providing you with a much smoother ride. This Libero bike combines the rigid stiffness of aluminum and the malleability of carbon fiber to give you the best of both worlds. The design of this bike is perhaps the best thing about it! 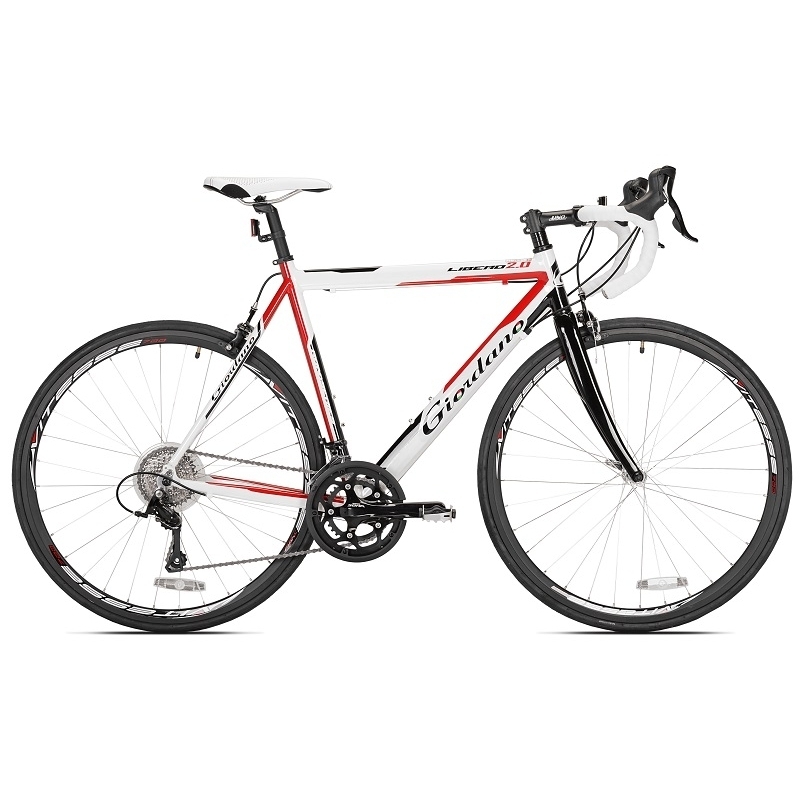 Unlike most models – even some of the best road bikes – the Giordano Libero 2.0 doesn’t require you to completely lean forward, which can be stressful for your lower back. Instead, you can assume a somewhat more neutral position that is much more comfortable for casual riders that don’t need to travel at super high speeds. For such an affordable model – which you can easily find among eBay’s deals – the quality of the Vitesse alloy rim wheels was also a big surprise. These wheels are light but very rigid and durable, bound to last you a long time – they can really take a lot of punishment. Another complaint that you often hear when dealing with low-end models is the saddle. Not with the Giordano Libero 2.0. The Velo saddle is strategically shaped and padded with soft materials to allow long rides without any discomfort. 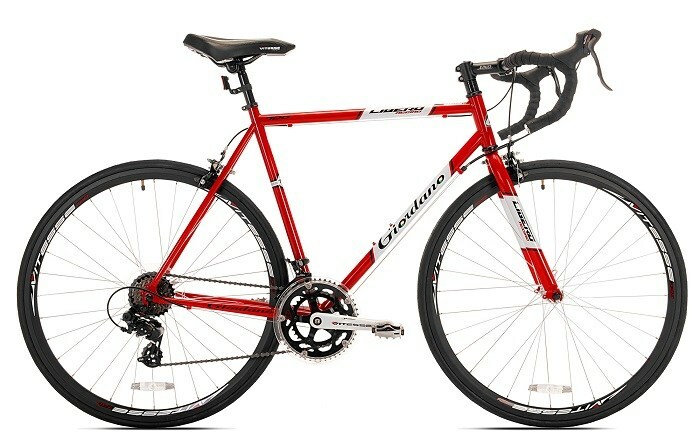 According to almost every Giordano Libero 2.0 review, a big downside to this model are definitely the pedals. Since all of the other components are of such impressive quality when taking the actual price of the model into consideration, it would make sense that the same is true of the pedals. However, according to various user reviews, they feel flimsy, low-quality and not at all up to the standard of a model such as the Giordano Libero 2.0. If you find the pedals unable to deliver what you’re expecting, don’t give up on this model just yet; you can replace them with more suitable ones without having to spend a fortune! Hint – Backcountry coupons will enable you to get them at best price. Also, you’ll probably have to assemble the bike yourself, so take a good look at the Giordano Libero 2.0 assembly instructions before you do this, or simply take it to a shop to have it done by a professional. Apart from this small issue, this model is a good choice if you’re a casual rider and want to get the best bang for your buck.